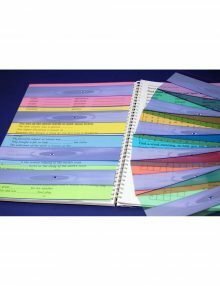 Full size coloured overlays can be preferable to the smaller, more convenient Reading Rulers in a number of cases. For example where factors of age or disability cause coordination problems, or when both hands are engaged while text and other representations are being followed. 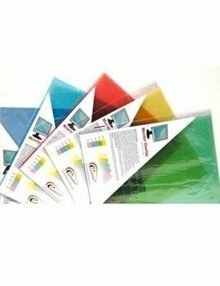 Available in 10 colours Aqua Blue, Sky Blue, Celery Green, Jade Green, Grass Green, Yellow, Orange, Magenta, Pink and Purple. To order please select the required colours. The Duo Reading Ruler is a narrow (app. 1cm) strip for highlighting single lines of text. Broad (app. 2.5cms) strip for scanning ahead in a paragraph and for studying diagrams, tables, columns of figures etc. Text marker (a solid line on the edge of the broad strip) for tracking down a paragraph. 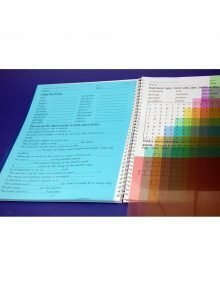 The pack of 5 Mixed Colours includes; a mixture of our most popular colours: Aqua Blue, Yellow, Grass Green, Pink and Sky Blue. You can change the background colour in your windows preferences, but you can’t change the background colour of a web page. Monitor overlays are so simple – they just lie flat against your screen to reduce the glare. The colours can be combined to create deeper or mixed tints. Easy to cut down to fit your screen size. Available in 4 sizes and 5 colours Aqua, Grass, Yellow, Sky and Pink.